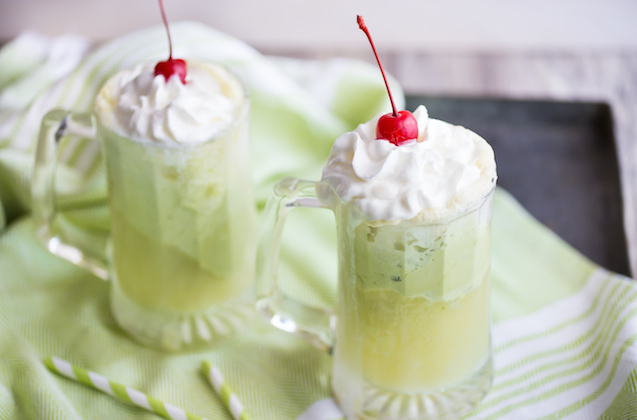 With the weather getting warmer and the days getting longer, I’m in the mood for quick, but refreshing treats and snacks that I can serve up at any summer dinner party. With the help of the KitchenAid® Fresh Prep Slicer/Shredder Attachment, these pickled sliced radish toasts look impressive, but come together super quick, giving you more time to spend outside with friends and family! Pickling the radishes takes the spicy edge off of crunchy radishes. 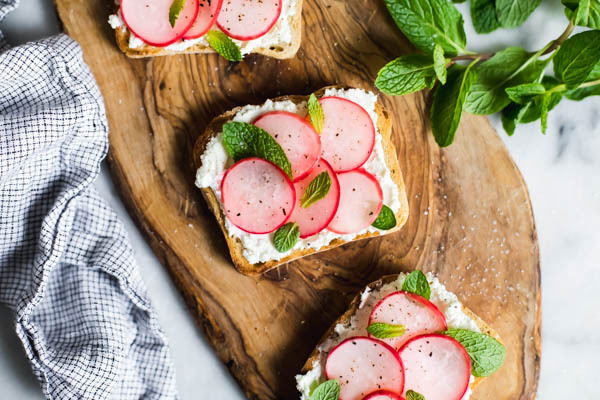 Paired with tangy, creamy goat cheese and mint for a pop of brightness, the radishes add a refreshing vinegar note to the toasts. Finish off with a sprinkle of salt and pepper to round out the flavors. 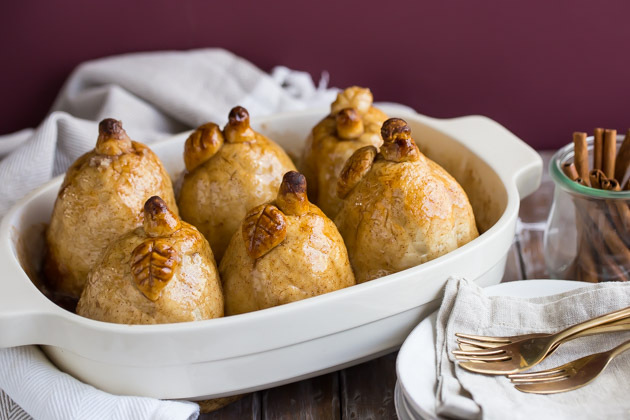 Serve them up as breakfast, lunch, a dinner appetizer or bring them to a potluck! This pickled sliced radish toast is a delicious summery combination, but the Fresh Prep Slicer/Shredder Attachment works on so many things that the possibilities for time-saving (and toasts!) are endless. With the Fresh Prep Slicer/Shredder doing all the heavy lifting, powdered by my KitchenAid® Stand Mixer, I plan to make a variety of toasts to serve up at my next dinner party. The attachment fits right onto any Stand Mixer. Once you insert the blade of your choice into the attachment housing, you just turn the Stand Mixer on and feed your veggies or other food into the feed tube. So here’s how to make this pickled radish summer toast to get you started with the Fresh Prep Slicer/Shredder Attachment! Attach the Fresh Prep Slicer/Shredder Attachment to the power hub of the Stand Mixer. Insert the slicing blade into the attachment housing until it clicks. Place a bowl beneath to catch the radishes. Turn the Stand Mixer on and insert your radishes into the feed tube to quickly slice them into beautiful rounds. Bring water to boil in the KitchenAid® Pro Line® Series Electric Kettle. If you boil water while preparing the radishes, it will stay warm in the kettle with the dual wall construction. Pour boiling water over the salt and sugar and stir to combine. Add the rice wine vinegar to the water mixture to cool it off and then pour the vinegar mixture over the radishes. Let those marinate and pickle while you prepare the rest. 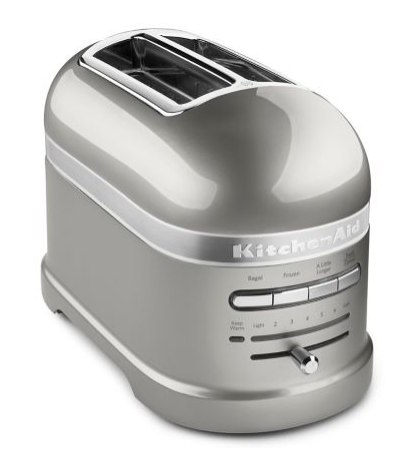 Use the KitchenAid® Pro Line® Series 2-Slice Automatic Toaster to toast the slices of bread. With the “a little longer” feature, you can easily toast each slice to your liking. Spread each slice with a thin layer of goat cheese, then top with pickled radish slices, and fresh mint leaves. Sprinkle salt and pepper over the top and serve. 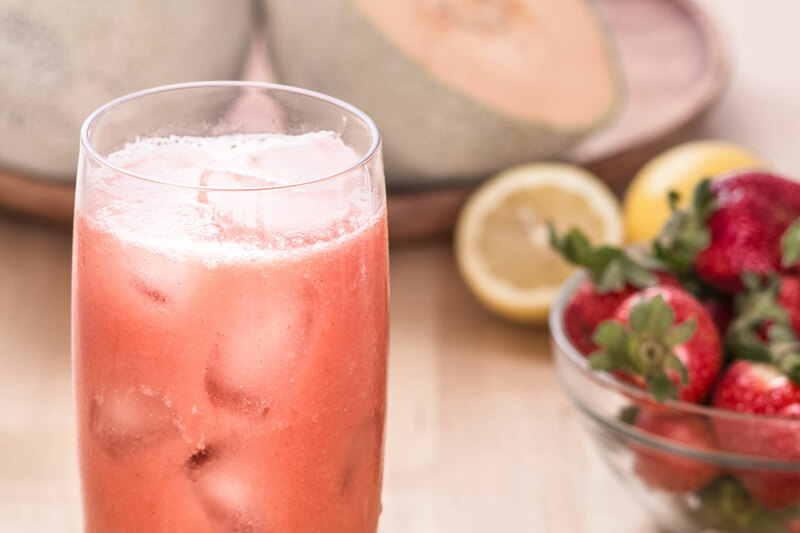 Share your take on this Pickled Sliced Radish Summer Toast on Instagram using #MadeWithKitchenAid for a chance to be featured. 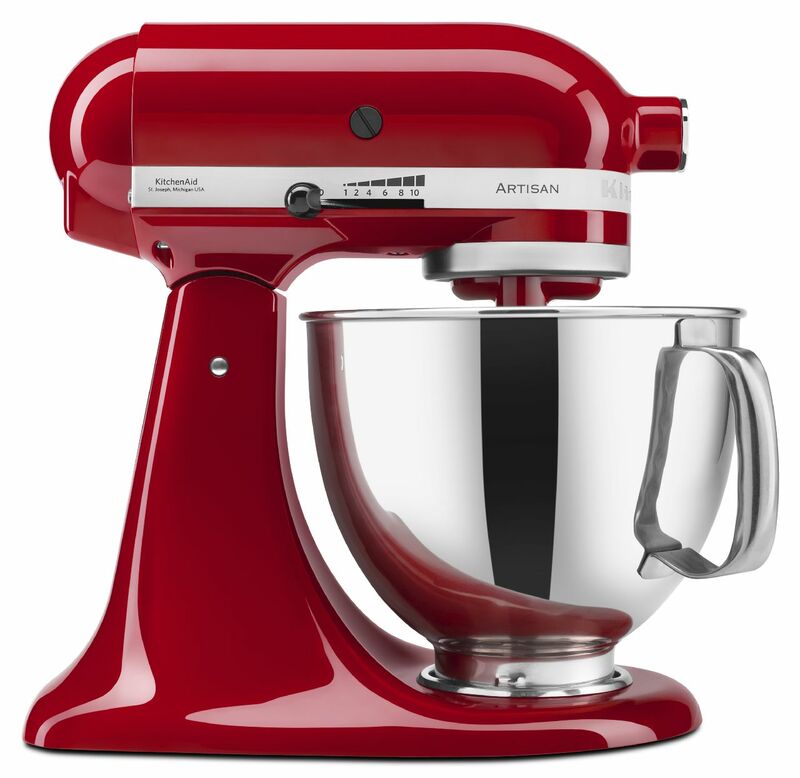 Attach the KitchenAid® Fresh Prep Slicer/Shredder Attachment to the power hub of the KitchenAid® Stand Mixer. Thinly slice the radishes into rounds using the Slicing Blade. Place the radishes in a heat-proof jar or bowl. 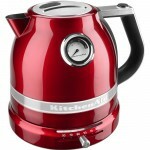 Bring water to a boil with the KitchenAid® Pro Line® Series Electric Kettle. Pour the boiling water over the salt and sugar. Stir to dissolve the salt and sugar. Add the rice wine vinegar to the water and pour the entire mixture over the sliced radishes. Let marinate while you prepare the rest. Spread each slice of toast with a thin layer of goat cheese. Top with the pickled radish slices and fresh mint leaves or pieces. Sprinkle with salt and pepper, to taste, and serve. Serve immediately.